Jordan Ingram reporting for FishDuck.com from Howe Field in Eugene, Ore. 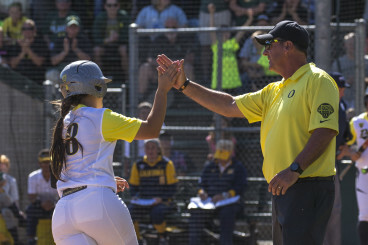 The Oregon Ducks softball team will begin the last leg of the regular season with a No. 1 national ranking for the second straight year under head coach Mike White. The two-time Pac-12 Coach of the Year has been down this road before. 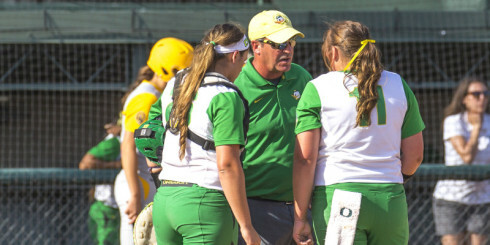 The Ducks have made five Super Regional appearances under head coach Mike White. Last season’s heartbreaking 2-0 loss to Alabama in the NCAA Women’s College World Series kept the Ducks out of the championship game. This year, White says the goal is to win it all. Oregon’s latest sweep of No. 18 California at Howe Field over the weekend was the Ducks fourth consecutive three-game series sweep for the first time in program history. The Ducks (44-5 overall, 19-2 Pac-12) continue to rake in conference awards on a weekly basis. Most recently, junior Hailey Decker and freshman Lauren Lindvall were honored as Pac-12 Player of the Week and Freshman of the Week. Coach White has a roster filled with talent, including freshman Lauren Lindvall. With a deep roster led by two all-Americans, junior pitcher Cheridan Hawkins and senior outfielder Janie Takeda, the Ducks are having a season for the history books. 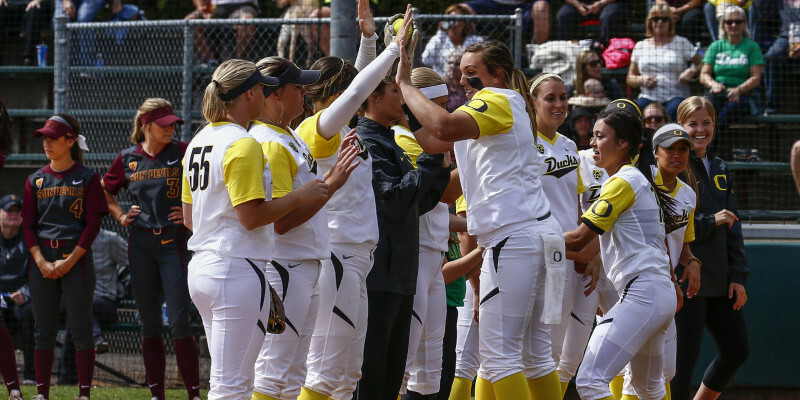 In the latest NCAA statistics, the Ducks rank 2nd in team batting average (.370) and win/loss percentage (.898). Despite these impressive numbers, Takeda says the Ducks must remain focused. 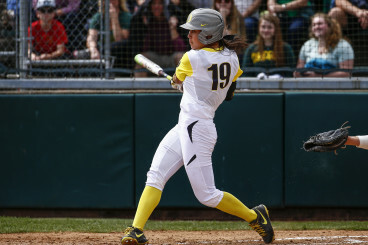 Janie Takeda hopes to conclude her record-breaking final season at Oregon with a national championship. Takeda is determined to guide her team to another World Series appearance. And she’s leading by example: this season, the two-time all-American has broken three school records – most career hits, most stolen bases, and most runs scored. The overall mood around the program is upbeat, as the Ducks have a lot to be proud of as they prepare for their final road series at No. 17 Arizona. But there is still a lot of work to do if the Ducks want a shot at a national title.